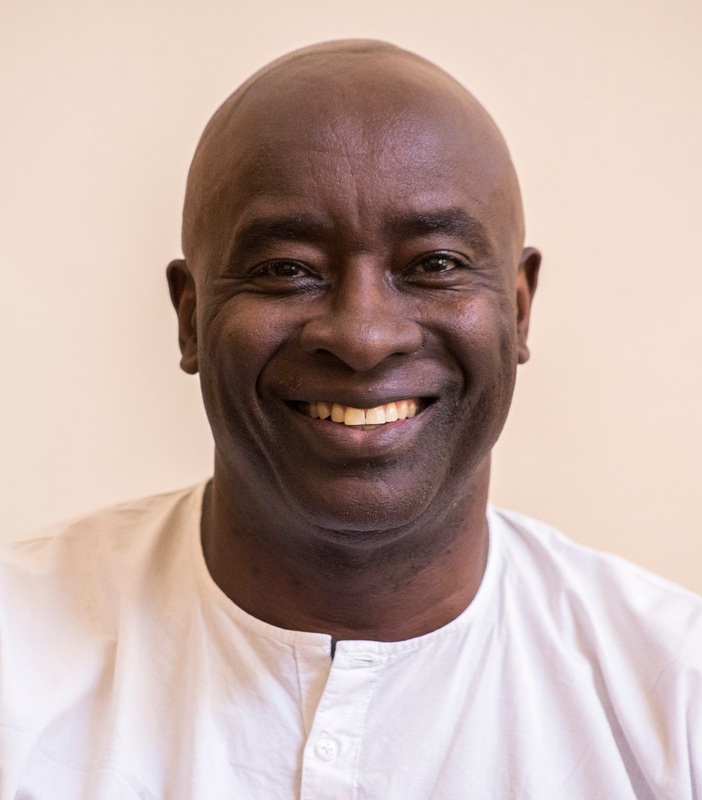 John Sibi Okumu picked up playwriting on a dare. Two dares in fact. One came from a girlfriend of the actor, Nick Njache, who eventually co-directed his second play, ‘Minister Karibu’, which incidentally is opening tomorrow afternoon at Kenya National Theatre. The other dare came a bit closer to home. It was from Barrack Muluka, who told him that if Sibi wrote a play, he would unconditionally publish it, which he did. And that was how ‘Role Play: A Journey into the Kenyan Psyche’ was born. And with it, the man best known for his acting career, (both in films like ‘The First Grader’ and ‘The Constant Gardener’ and on stage playing everything from Romeo and Shylock to Vladimir in ‘Waiting for Godot’ and Robert Mugabe in his own script ‘Breakfast with Mugabe’) was now on the road to becoming one if not the most prolific and polished playwrights in Kenya. But so far, ‘Role Play’ is the only one that’s been published (which ought to be rectified by local publishers). “If someone includes the four scripts that I devised [In Search of a Drum Major, Like Ripples on a Pond, Milestones and Phenomenal! 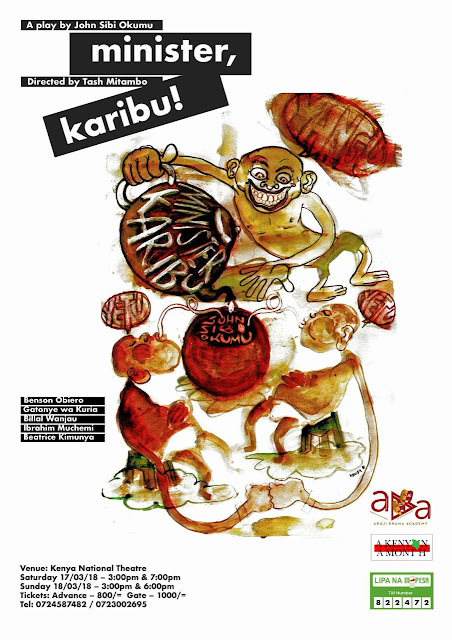 ], I guess I can claim ten plays to my name,” Sibi-Okumu tells BD a few days before his controversial political satire, ‘Minister Karibu’ opens, staged by Aroji Drama Academy under the direction of Tash Mitambo. Sibi isn’t likely to describe his play as ‘controversial’ although he admits he intentionally created a cast-full of stereotypes so that audiences could see how ridiculous those clichéd characters really are. The play went down very well when it was staged by Phoenix Players in 2012. But some critics didn’t seem to understand the nature of satire (which to paraphrase dictionary.com is the use of irony, sarcasm or ridicule to expose or denounce vice and folly.) They claimed he’d abused specific politicians. Nonetheless, Phoenix Players were so pleased with Sibi’s literary skills, they made him promise to write a new play every year and stage it at the Theatre. He kept his promise writing scripts like ‘Meetings’ (2013), ‘Elements’ (2013) and ‘Kaggia’ (2014). He’s had a hiatus since then, although the former French teacher (at ISK and Hillcrest) and TV anchorman (on ‘The Summit’ for KTN and the Zain/Celtel Africa Challenge) hasn’t been idle. He’s currently working on several theatrical projects, all of which he says feature one ‘super-star’ and that is Kenya. He adds that it was seeing August Wilson’s ‘Fences’ (on Broadway) with James Earl Jones that showed him how affecting it can be to dramatize events of ordinary people’s everyday lives. But he doesn’t want to say much more about those projects until he’s satisfied they’re set to go on stage. In the meantime, he’s been traveling a lot, serving as everything from a conference moderator and facilitator and a Master of Ceremony. Most recently he’s been in New York, working at the United Nations on a report resolving an international dispute over water rights. But it’s the play, the musical and the novel that Sibi’s simultaneously working on that one wishes to see completed before any of his other multiple tasks get done. One would also wish he would either climb back on stage or into a forthcoming film or even go for a radio talk show since the man is not only an actor, director and playwright. He’s also got a voice that’s got an amazing musicality. It’s a voice that got him mocked as a child; he was called a ‘black Englishman’. What his classmates didn’t know was that in fact, he grew up from an early age in England. The whole of his early education (up until he was ten) was indubitably English, so there’s nothing affected about the royal way in which he speaks the Queen’s mother tongue. What is affecting is to learn that Sibi had a father who went off to UK for further studies when his son was very young. Eventually, the dad called him and his mum to join him, but they were never very close. The one thing the father and son shared was a love of literature and that’s endured. “I was reading James Baldwin’s ‘Another Country’ before we returned to Kenya. I picked it from my father’s library,” he admits. Speaking to Sibi on that enduring love of literature, one only hopes his own literary projects will soon bear fruit and that we’ll see more of his works staged as Aroji Drama Academy is doing this weekend.